4th gen Egg = total newbie! Hello! 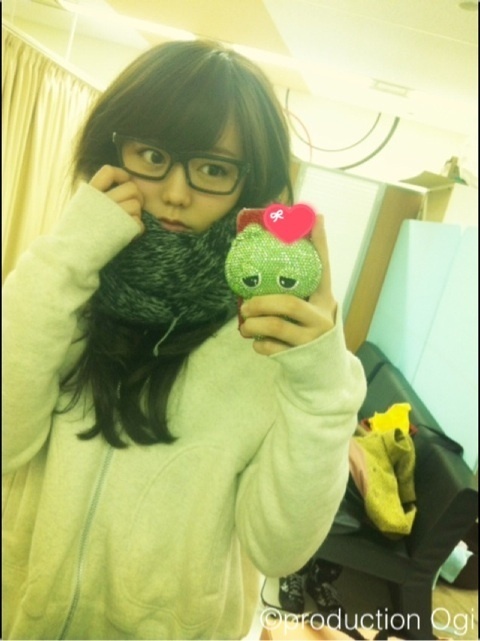 Project Egg with the best cheeks in H!P since Konno. I bought 6 trading cards at one of the concerts and got two out of three newbie sets. She's already one of the Eggs I look forward to seeing the most whenever there's some new Egg stuff out. Her voice is pretty good, too! I was watching the Egg no hi DVDs and awww Ricchan She's just so cheerful and happy all the time. Even if she gets a quiz answer wrong, she's just like this ^________________^ There are seriously no worries in her world, wish I could live there HAHA. Poor girl eating bad punishment game bread... HER FACE!!!! Even in stills she makes me lol.